What is the Street Medicine™ Institute? The Street Medicine Institute (SMI) facilitates and enhances the direct provision of health care to the unsheltered homeless where they live. 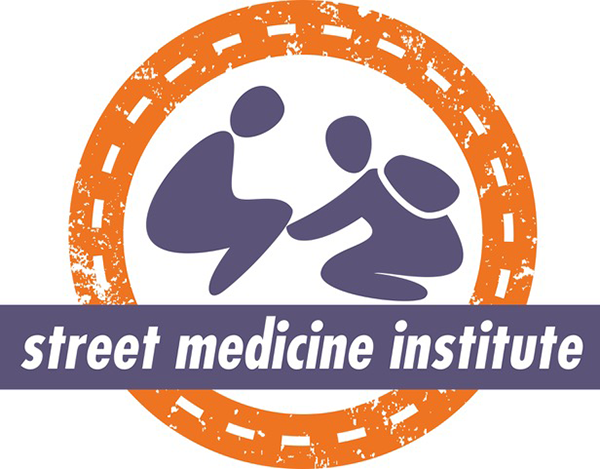 SMI does this by providing communities and clinicians with expert training, guidance, and support to develop and grow their own Street Medicine programs. SMI has become the global leader in developing the field and practice of Street Medicine and has helped cultivate or improve Street Medicine programs in over 85 cities located in 15 countries across 5 continents. SMI is also a membership community that enables professionals and other individuals interested in the Street Medicine movement to come together to provide peer support, share best practices, seek advice and learn about key concepts necessary for a successful Street Medicine program. 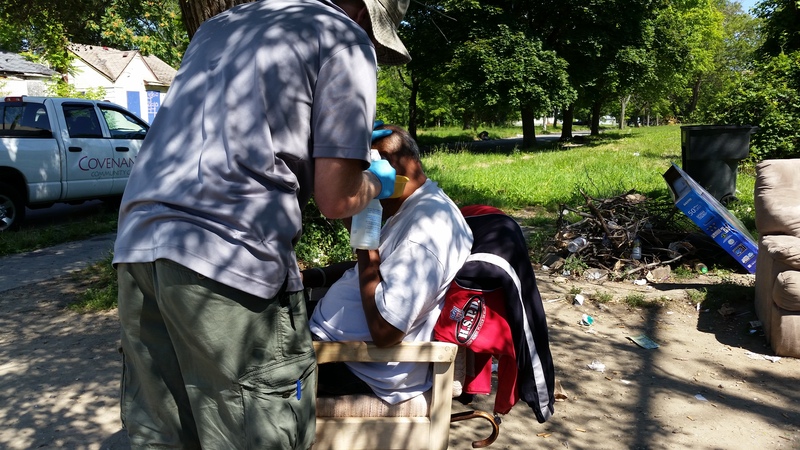 Street Medicine includes health and social services developed specifically to address the unique needs and circumstances of the unsheltered homeless delivered directly to them in their own environment. The fundamental approach of Street Medicine is to engage people experiencing homelessness exactly where they are and on their own terms to maximally reduce or eliminate barriers to care access and follow-through. Visiting people where they live – in alleyways, under bridges, or within urban encampments – is a necessary strategy to facilitate trust-building with this socially marginalized and highly vulnerable population. In this way, Street Medicine is the first essential step in achieving higher levels of medical, mental health, and social care through assertive, coordinated, and collaborative care management. The emphasis on unsheltered or “rough sleeper” homeless populations is noteworthy, since most other organized homeless health car efforts are primarily designed to serve homeless individuals who live in sheltered settings. Our stance related to taking care directly to the unsheltered individual reflects SMI’s fundamental belief that living on the street is not an acceptable reason to be excluded from health care. Nonetheless, SMI and its related programs will always collaborate with others who deliver health care at any point across the spectrum of homelessness, as well as with those who work to alleviate the overarching problem of homelessness and its consequences. Any group whose resources are relevant to the street homeless is a natural partner of Street Medicine. Street Medicine is not adequate primary care by itself, but is best viewed as a form of intermediate “home care”. In every encounter, an effort should be made to identify and refer patients to a comprehensive, longitudinal primary care relationship if none already exists or if the Street Medicine providers themselves lack capacity to fulfill that role. Whenever possible, communication and collaboration with other members of a patient’s health care team are priorities. 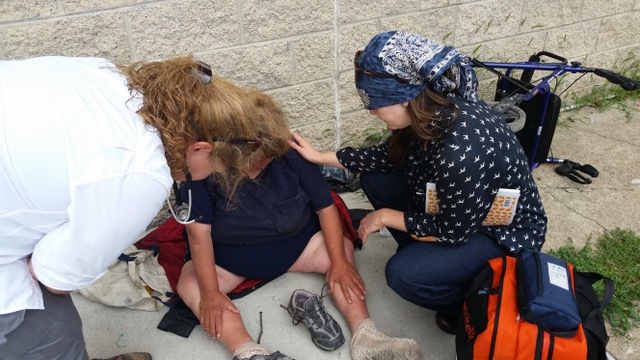 Some Street Medicine providers are fortunate to practice under the umbrella of a regional Health Care for the Homeless Program, which may enhance primary care access and coordination. Why do we need Street Medicine? Millions of people experiencing homelessness throughout the world face extreme poverty, poor access to health care, and social disenfranchisement. As a result, they bear a disproportionate burden of illness, suffering, disability, and premature death. Street people in the United States die on average nearly three decades earlier than their housed peers, most commonly due to preventable and treatable chronic medical conditions. Meanwhile, their health care utilization costs are more than five times the national average, primarily as a result of over reliance on the emergency room for routine medical care and increased hospitalization rates for illnesses presenting in advanced stages. These observations provide evidence that mainstream health care delivery models are failing to meet the complex needs of this vulnerable population in a socially responsible manner. It has been said that the measure of a society is reflected in its treatment of its most vulnerable members. The same maxim applies to health care systems where health care workers are ethically bound to promote health and alleviate suffering for all people – including the poor and powerless. Street Medicine embraces these foundational moral and professional principles, but it also argues that when a community fails to respond to the health care needs of those experiencing this most severe form of urban poverty, it incurs magnified and compounding social costs. Street Medicine programs are uniquely positioned to navigate many of the most complex challenges to providing high quality, low cost health care to unsheltered homeless populations. Local studies of existing Street Medicine programs have revealed substantial impact on health care costs and mis-utilization patterns for the street homeless populations they serve, including reductions in emergency room visits, hospital admissions, and hospital lengths of stay. As a result, the Street Medicine care delivery model can also be instructive for health care systems seeking to improve access and efficiency for the general public and for other socially excluded and medically complex populations.